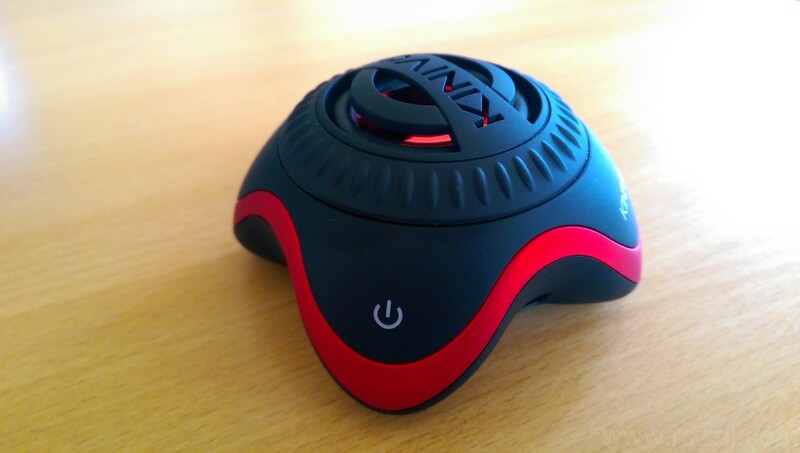 If you’re looking for portable speaker that is comfortable to carry, powerful sound and in-built rechargeable battery at low price then Kinivo ZX100 Mini speaker is the great choice. The speaker deliver a superior full-bodied, 360 degree sound. The speakers can be connected with all Android Smartphones & tablet, iPhones, iPods, iPads, laptop, MP3 player and any other device with 3.5 mm audio socket. The Kinivo design is very unique and instantly attract your eyes, Out of 4 corners, three corners are button which you can use to power on and volume up and down the device. At bottom, you’ll find battery and cable which you can plug into mobile or laptop. MicroUSB port is also in the bottom. The speaker has the unique technology called ERCD (Expansive Resonator Construction Design) which gives the best low frequency output. To activate the this you’ve to open the resonator by rotating the top part into clockwise direction. Connect the speaker to 3.5 mm jack of your phone and this little speaker start showing how powerful the speaker is. This little speaker sound is louder and resonator disperses the sound really good. 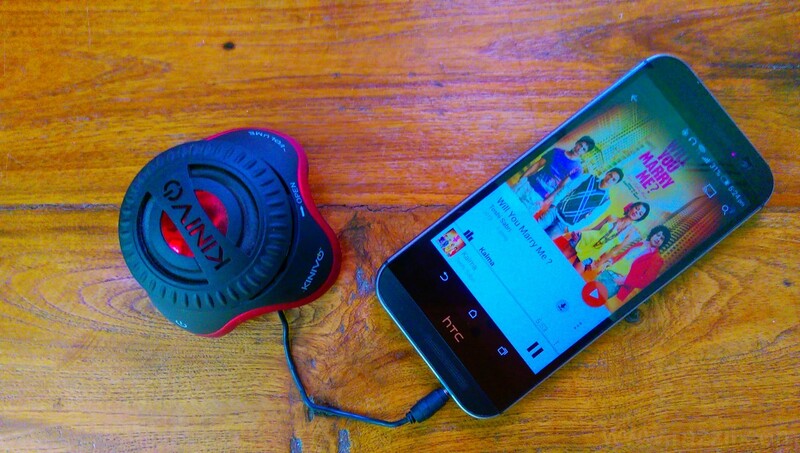 Another cool feature of Kinivo ZX100 Mini Portable Speaker is that you can make the chain of speakers by connecting themselves which gives portable surround sound. At the bottom, device has 3.5 mm audio jack which comes handy. Resonator which gives the low frequency output. You can control the volume from the speaker itself. Blue LED will irritate you specially in the night.